When you grow up watching your father saw your mother in half most nights, it's not always easy to define normal. For Sandra, daughter of illusionists, Adam and Ophelia, life's never been run of the mill! But when Adam's wandering eye lights on yet another conquest, it proves a chorus girl too far, and Sandra's caught in the reverberations of her parents acrimonious parting. Coerced into restoring her depressed mother to the bosom of a family Sandra never even knew existed, she's sucked into a situation that even for her is unnerving. From being without a single relative, she suddenly acquires several she'd rather do without, and learns a few home truths she'd prefer not to know. Ophelia, it appears, has not been entirely honest about any number of things. There's no doubt in Sandra's mind, the sooner she puts as much distance as possible between herself, her newly discovered nearest and dearest, their peculiar tendencies and their failing hotel business, the happier she's going to be. Dire straits call for desperate measures and Sandra reluctantly rises to the occasion. A hanged housemaid, a fly-on-the-wall documentary, The Psychic Society and a quasi co-operative journalist all handled correctly should, she reckons, get the family business up and running, which will allow her to do the same - as fast as she can, and in the opposite direction. Things unfortunately move swiftly from bad to farce and then get a hell of a lot darker. One moment Sandra's struggling to save the family's income, the next, she's battling to save their lives. 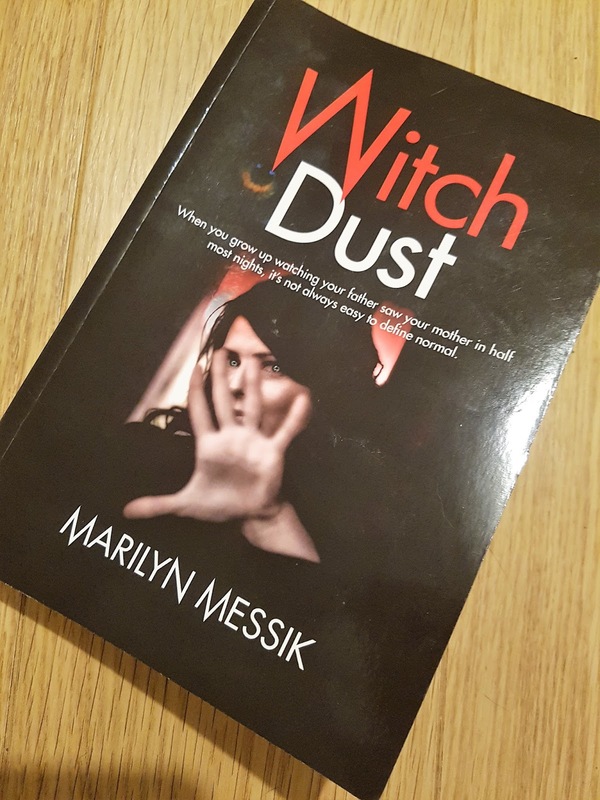 I was really excited to read Witch Dust, by Marilyn Messik. I'm not usually a fan of fantasy/supernatural fiction, but the description sold me and I dove in, headfirst. But just a few pages in, it was apparent that this wasn't going to be the exciting, gripping read I had hoped for! 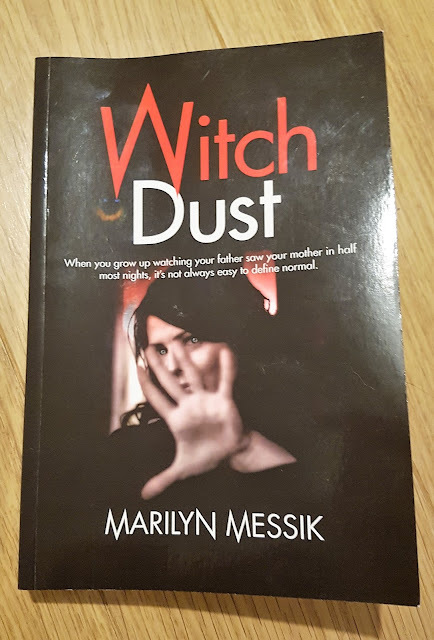 It's a shame this book didn't live up to my expectations; which weren't exactly high, given that I had no idea what to expect from Witch Dust. After all, I've never read anything quite like it before. With an original idea, a unique premise and a cast of crazy characters, I really did expect a bit more from Messik's latest novel. My biggest complaint? Just how wordy it was. I used the term 'flowery' when describing my ambivalent feelings about the book to a friend. Messik used far too many high-brow words, some of which had me crinkling my brow as I tried to work out what on earth they meant in context. Had the author kept her language simple and toned her descriptions down, I feel like this could have been a very thrilling read, indeed. It also irks me when a book holds so many spelling and grammatical errors. I mean, isn't that what editors are for? To catch these mistakes before they go to print. And there were many of these errors in Witch Dust. It always ruins a book for me when I'm tripped up by a mis-spelt word, or errant comma! So, overall, not the fantastic, fantasy read I was hoping for. One of the more disappointing books I've read recently. But it was only the language, really, that let this book down. It had a really strong story-line and great characters; so it had potential to be great! It's just a shame it wasn't.